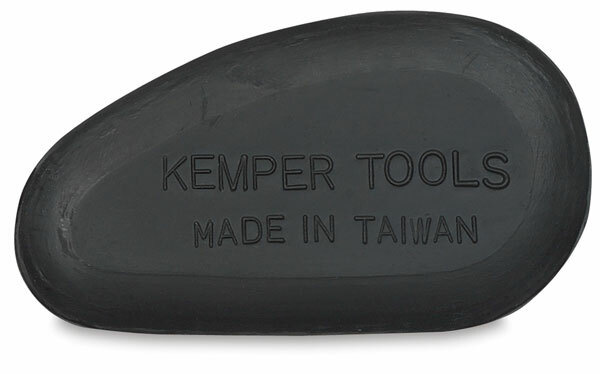 For smoothing, shaping and finishing clay pieces. Molded in a soft kidney shape from pliable rubber. Dia., 3-1/8".